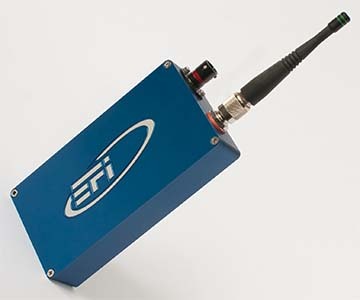 The EFI Telemetry System is an essential tool that provides teams with continuous data from the vehicle to monitor critical functions during a race. 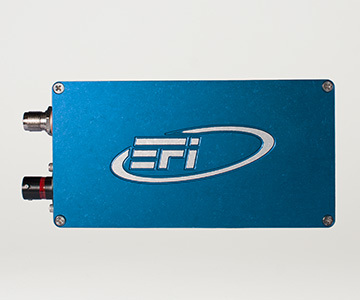 The compact rugged design features a billet machined 6061 aluminium enclosure that is EMI O-ring sealed and features an Autosport 6 pin main connector. 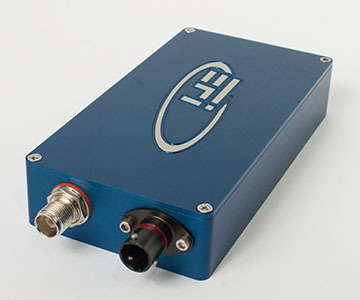 The Telemetry System supports multi-rate sample rates to optimize bandwidth. Complex math functions can be calculated in real-time to help reduce chassis setup time. System alarms alert the team of any out of range engine parameters and channel EOL data can be automatically exported to an Excel spreadsheet. Using the Multicast network server telemetry data can be transmitted over a network allowing multiple computers to analyze the information. 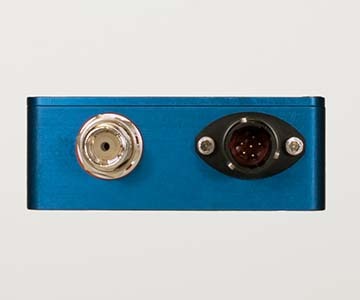 Dimensions: 4.6" x 2.7" x 1.1"